Kargil has always been in the world map; be it the past or the present. Being bang in the centre of two important cities of Kashmir, Kargil was the major transit point for the traders loaded with goods. 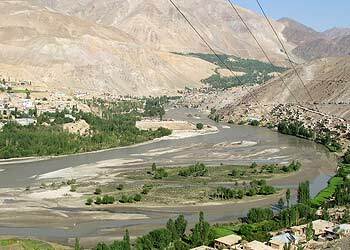 <br />The Kargil town is situated in Basin of Suru River, where two tributaries of the river meet. This region formed part of the erstwhile Kingdom of Ladakh. 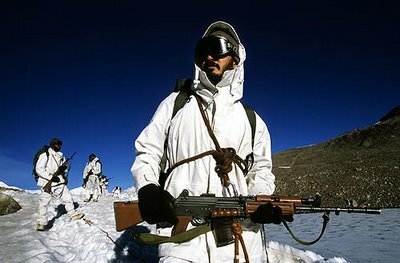 It was a colony of the people from Ladakh. 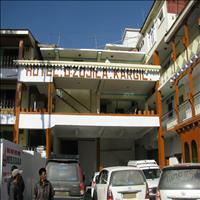 Kargil is a mixture of various ethnic groups living a peaceful life on this hilly cold terrain. These tribes still follow their own rituals and cultures. The Indo-Aryan Mhon from across the Great Himalayan range, the Dard from down the Indus and the Gilgit valleys and itinerant nomads from the Tibetan highlands all came to settle here forming a culture and tradition which is unique in its own way. They learnt various aspects of life and living from each other to fight the tough weather and stay happy. 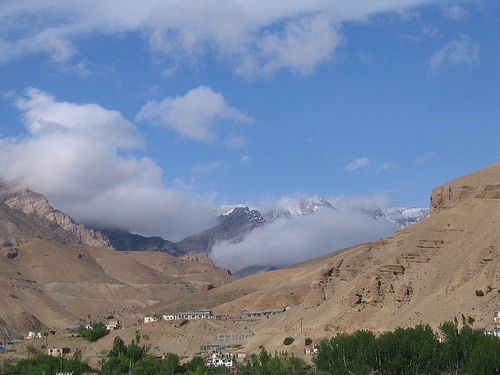 <br /><br /> Kargil is famous as the land of Apricots. In summers the whole Suru valley blooms and comes alive with the orange colour and sweet fragrance of the Apricots. While nearly 85 % of the population of Kargil follows the Islam, the traditions differ largely from the conventional Muslim rituals and beliefs. This is the example of confluence of Buddhism and Islam that has followed in the valley for ages now. <br />Like many other tribes, there is one unique tribe in the area. The `Minaros&apos; (or Brokpas), who claim to be direct descendants of the army men of Alexander of Macedonia are strictly endogamous tribe. Easily recognized by their typical dressing style and hats, they practice their own rituals and rites and shun from the public eye. <br />Due to the mountainous terrain and harsh climatic conditions the people of Kargil can cultivate only along the narrow valley rising hillsides. Other than Apricots, thick plantations of poplars and willows, apples and mulberry trees adorn the valley bottom and the hills alike. <br />The chief attractions of the Kargil valley are its adventure sports like trekking, camping, mountaineering, river rafting and the rest. The day long excursions in the nearby Suru valley are also worthwhile. <br />Mulbek which is around 45 kms from Kargil is chiefly a Buddhist village. Many of the monuments which lie scattered in ruins here stand witness to the prosperity of the Buddhist era. The major attraction, however, is the 9 meter high ancient rock sculpture of the Future Buddha. This 8th century sculpture is built in a unique blend of esoteric Saivaite symbolism and Buddhist art. Famous as Mulbek Chamba, it is believed to be built by the missionaries preaching Buddhism, who came here. <br />A fairy tale village of Wakha Rgyal is five km away from Mulbek. This village is perched on a small hill top and appears like a medieval cave settlement. It looks like a beehive from a distance. The picturesque views, of the undaunting hills, that this small village offers is another attraction. <br />The peculiar cave monastery of Shergol attracts tourist form far and wide. Very near to Kargil this small village has equal number of Buddhist and Muslim population. It is famous for the cave monastery which seems to be hanging off the brown hill. A natural mountain fortress can be seen in the near by Phokar village which conceals many small caves. Great Buddhist preachers like the Padmasambhava is believed to have resided in these caves during his journey to Tibet. <br />Drass, a relatively flat open place in the valley, is about 60 kms from Kargil. Starting from the base of the Zoji La pass, the Himalayan gateway to Ladakh, it is blanketed by heavy snow for the most time of the year. Although the summer months throw riot of colours when the white and brown mountains turn into green pastures and grow innumerous colourful flowers; the town of Drass is supposed to be the second coldest inhabited place of Asia. A stark contrast in the scenery is seen when one takes the last turn of the road at the India Gate near the top of the pass and enter the Ladakh territory. The luxury of beautiful nature is replaced by the brown and Ochre mountains. <br />Drass is inhabited by the tough Dard community who are the immigrants from the Gilgit valley. Representing a unique culture and language of their own, the Dard have been the navigators or many on this dreadful pass since ages. It is the Dard community, which despite the cold condition of this place, has kept the mail service between Srinagar and Ladakh in working condition. The language they speak is very near to the Indo- European languages, unlike the people of this area who basically speak dialects of Tibetan language. The favourite sport of these people is the Horse polo. Kargil is the second largest urban centre of Ladakh, situated at the height of 2704 meters and is the middle point on the Srinagar and Leh Highway. Around 204 kms from Srinagar and 234 kms from Leh, Kargil once served as an important trade and transit centre in the Pan-Asian trade network.